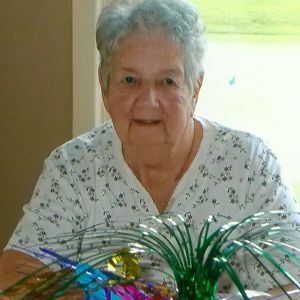 Esther Bernice Myers, 84, of Anderson, passed away on March 23, 2019 at Millers Merry Manor in Chesterfield. She was born on September 4, 1934 in Indianapolis to the late Oral and Clara Parker. Esther retired from Delco Remy in 1993 as a Fork Truck Driver. She was a member of the Grandview Ladies Golf Club, several bridge clubs and bowling leagues, and was a little league coach. She enjoyed golfing, playing cards, and fishing. Esther is survived by her children, Gary (Leslie) Myers of Hot Springs, Arkansas, Larry (Pam) Myers of Coldwater, Michigan; daughter in-law, Anita Myers of Anderson; grandchildren, Marc Palestina, Robert Palestina, Randi (Chad) Barton, Elliott Myers, Andrew (Sarah) Myers; great grandchildren, Emma Myers, Bradley Brooks Barton, and several nieces and nephews. She was preceded in death by her husband, James D. Myers; sons, Terry Myers, Kerry Myers; brothers, Robert Parker and Lee Parker. Services will be on Tuesday at 1:00 pm at Brown-Butz-Diedring Funeral Service & Crematory, 515 E. 53rd St., Anderson, IN 46013 with Pastor Steve Gettinger officiating. Entombment will be at Anderson Memorial Park Cemetery. Visitation will be Tuesday from 11:00 am to 1:00 pm at the funeral home. Add your thoughts, prayers or a condolence to Esther's guestbook.